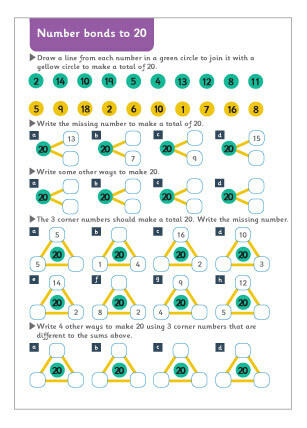 This is a maths worksheet designed to test pupils’ knowledge of the different ways that the number 20 can be formulated. - Draw a line from each number in a green circle to join it with a yellow circle to make a total of 20. - Write the missing numbers to make a total of 20. Under the sea number bonds to 8 maths game.